I created this image in Photoshop from one of my photos. 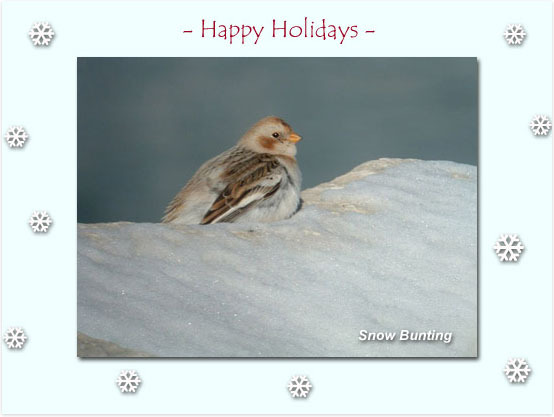 The bird is called a Snow Bunting, a small songbird that nests in the Arctic and winters in the northern United States and southern Canada. You're welcome to download this image and use it as a holiday e-card. If you have any questions or comments, please contact me, Robert D. Hughes. Save the image to your device. Open your preferred e-mail client and attach the image to an e-mail message.